Favorite dance hits and party music for high-energy fun times! Everybody get up and dance! 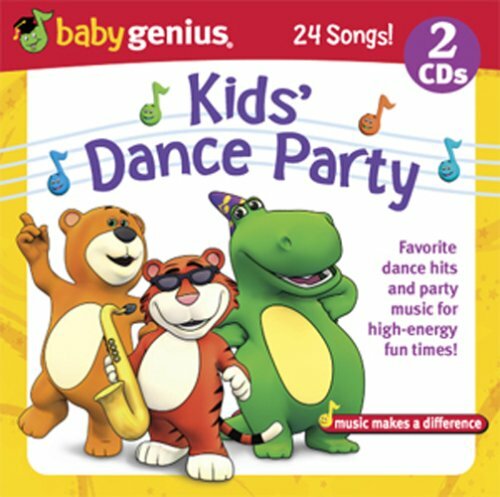 Have a kids' playful workout party every day with singing, dancing and tumbling to this totally terrific collection of dance music. Enjoy popular hit songs and high-energy children's music. A great way to exercise - no couch potatoes allowed with these lively action songs! Over 1 hour of music on 2 CDs! My daughter and I love this cd. We got it for her for Christmas along with a cd player/microphone and she loves singing along to all the songs and dancing to them. Great cd! !